Russia may get rid of them. The Security Service of Ukraine (SBU) has said that Oleksandr Khodakovskyy (Aleksandr Khodakovskiy), one of those at the origins of the separatist riots in Donetsk Region, and former Horlivka chieftain Ihor (Igor) Bezler can be liquidated by Russian special services. SBU apparatus head Oleksandr Tkachuk at a briefing has commented on Khodakovskyy's recent statement that he can face the Mozhovyy-Dryomov scenario. Oleksiy Mozhovyy and Pavlo Dryomov, both Luhansk separatist commanders, were recently killed. "We have information that his position is very shaky, let us put it this way. Very radical measures can be applied to this person. Bezler is also facing a threat of liquidation. He is a well-known terrorist chieftain in Horlivka. Bezler is currently on the territory of the temporarily occupied Autonomous Republic of Crimea," Tkachuk said. Until March 2014, Khodakovskyy had commanded the special Alfa unit of the SBU directorate in Donetsk Region, later he was in charge of the East (Vostok) militant battalion. Until July 2014, he had been the security minister of the self-proclaimed Donetsk People's Republic (DPR) and in charge of the DPR security council since November 2014. Recently he criticized DPR leader Oleksandr Zakharchenko a lot, accusing him of corruption. 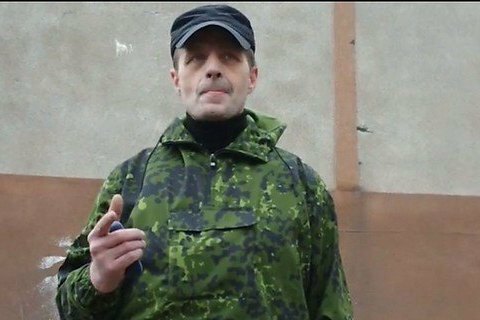 Bezler was in charge of Horlivka militants from spring to autumn 2014. On 1 November 2014, one of the militant chieftains, Igor Girkin (Strelkov), said that Bezler "had resigned and is in reserve on the Crimean peninsula".